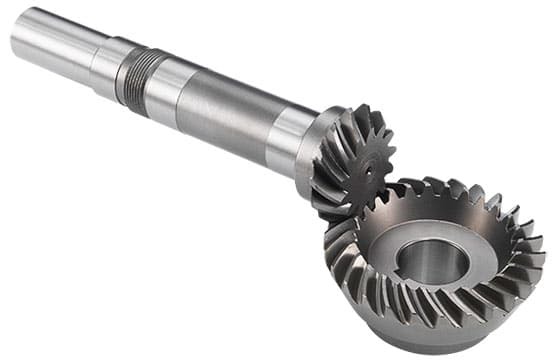 These hypoid gears are offset from the gear center, enabling unique configurations and a large diameter shaft. They are typically produced in opposite-hand pairs (left and right handedness). The gears are finished all over and all sharp edges broken .015 [0.38] Max. Corners have .031 (0.79) maximum fillet except snap ring grooves.